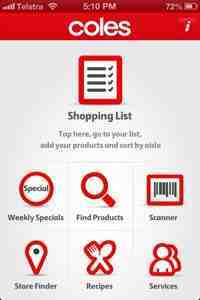 I just need to give a shout out to the Coles iPhone app. 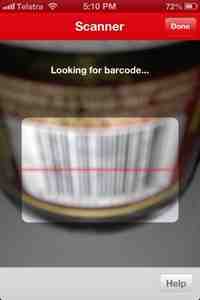 Not only does it put your shopping list in order of what aisle the product is down (depending on what store you're going to), but it also scans barcodes so that when your low on something you just scan it to add to your list. I'm pretty convinced my nana would have loved this. First off, great site! By way of introduction, I work for Boom Video, a social video ad platform and Australasia's first official YouTube network. We distribute video content for a wide range of brands and exclusively represent hundreds of Australian & Kiwi content creators. It would be great to have a chat with you about our new native video player product that we are offering to great Australasia-based bloggers and site owners. Email me if this interests you and I can send you some more infomation. (You can check out an example at http://catskidscake.blogspot.com.au) Thanks!